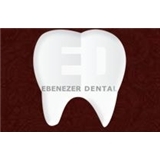 Ebenezer Dental (New York) - Book Appointment Online! Dr. Karen Kang at Ebenezer Dental provides a full spectrum of dental care with her specialty background in prosthodontics and implant dentistry. You will receive the highest quality treatment in the hands of the best skilled and trained clinician in the art and science of dentistry. Dr. Kang custom designs every case to fit your need and believes in conservative, yet predictable treatment in a caring environment. Proper diagnosis and good communications are integral part of your dental health at Ebenezer Dental.